There were 304,804 motor vehicle crashes in New York during 2013, according to the New York State Department of Motor Vehicles (DMV). While the majority of accidents resulted in only property damage, there were 124,505 non-fatal personal injury crashes and 1,109 fatal crashes. A total of 1,188 people lost their lives, and another 169,177 sustained some type of non-fatal injury. What this report does not reveal is the number of individuals who were left permanently disabled after a car crash. Injuries in a car accident vary greatly depending on the severity of the collision, as well as the type and number of vehicles involved. Bruises, lacerations, broken bones, whiplash, neck injuries, back injuries and head injuries are all common in serious car accidents. In violent collisions, the possibility that accident victims will become disabled increases dramatically, but even seemingly minor crashes can have devastating consequences. When an individual sustains a serious injury, he or she may be eligible to recover damages to pay for medical expenses, rehabilitation therapy, vehicle repairs, lost income and other accident-related costs. In cases in which a severe injury results in a disability, compensation should also cover lifetime losses. Lifetime losses are sometimes overlooked when determining the value of a car accident insurance claim. Most people remember to factor in immediate and short-term medical costs and recovery expenses, but they neglect to calculate the full financial impact on the victim (and his or her family) over the course of a lifetime. 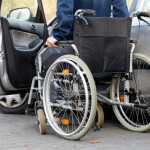 This is particularly important in cases in which an accident victim’s injuries have resulted in quadriplegia, paraplegia or other catastrophic injuries. 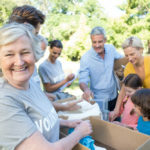 In most cases, individuals who are no longer able to care for themselves can no longer earn a living to provide for themselves and their loved ones. Ventilators and other life-sustaining devices. Medical equipment (beds, wheelchairs, etc.). Lifetime costs vary greatly depending on the type of spinal cord injury an individual sustains. The Christopher & Dana Reeve Foundation has put together a comprehensive chart detailing the average yearly expenses for individuals with incomplete motor function at any level, paraplegia, incomplete tetraplegia (quadriplegia) and complete tetraplegia. Estimated lifetime costs for an individual who has suffered a debilitating spinal cord injury at the age of 25 ranges between $1.5 million and $4.5 million. The costs are much higher in some cases. If you or a loved one has become disabled after being involved in a collision, hiring a skilled attorney can significantly improve your chances of maximizing your recovery in a car accident case. A qualified lawyer will work with life-care planners and others to make sure the full cost of your injury is properly calculated – and then fight to get you the compensation you deserve. Even for alert and conscientious drivers, a car crash can come out of nowhere, caused by someone else’s negligence or reckless driving conduct. The National Highway Traffic Safety Administration reports that 5.6 million motor vehicle crashes– more than 1.6 million with injuries – took place in 2012 across the United States. Alcohol-impaired drivers, distracted drivers and the sheer volume of traffic can increase the odds of being involved in an accident. If an auto accident has left you disabled, it is important to actively pursue maximum compensation for the losses you have suffered. The settlement you receive can make all the difference in your future quality of life. It is essential to obtain a fair settlement that covers all your losses. You could be out of work for a long time after a serious accident, and your settlement needs to compensate you for future lost wages. You may have long-term ongoing expenses associated with your injuries. 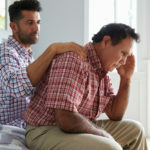 You may not be able to rely on Social Security Disability benefits, although you are disabled, because of the program’s strict medical requirements and complicated application process. Will Your Insurance Company Take Care of You? As Michigan is a no-fault state, your own insurance company will cover most of the economic losses you suffer in an auto accident, regardless of who is at fault. This is known as a first-party claim. The losses you claim can include your medical bills (past, present and future), out-of-pocket expenses and lost wages. As your insurance company’s paying customer, you may expect the company to look after your interests and ensure that you receive a fair settlement. Unfortunately, this is often not the case. Insurance companies are in business to make a profit, and the company’s bottom line may take precedence over your well-being. Do not accept the first settlement offer you receive from the insurance company. It is more than likely that the offer will not be for a fair settlement. Claims adjusters know that you may be vulnerable and in need of money after an accident, and they want to get your claim settled and off their books as soon as possible. Your best course of action is to retain an experienced personal injury lawyer to represent you. Your attorney can help you accurately determine the full value of your losses and negotiate with the insurance company on your behalf. Under Michigan law, you will need to file a third-party claim to recover damages for pain and suffering if your injuries were caused by the fault or negligence of another. Settlement value in permanent injury and disability claims can be difficult to calculate because losses can include ongoing expenses, physical pain and emotional distress. Assigning a dollar value to such losses can be a challenge. At Goodman Acker, P.C., we handle both third-party claims and first-party no-fault insurance claims. We have represented thousands of auto accident victims and obtained million-dollar settlements and verdicts for our clients. We know how to deal with insurance companies to get maximum results inthe least amount of time. Post provided courtesy of Goodman Acker, P.C.